About three-dozen members of the Occupy protest movement met with Minneapolis Mayor R.T. Rybak and Police Chief Tim Dolan Tuesday afternoon at city hall to discuss allegations of excessive force used on protesters. Protesters say police officers used excessive force when they arrested 12 demonstrators at a gathering Saturday night in Loring Park and Peavey Plaza near downtown Minneapolis. 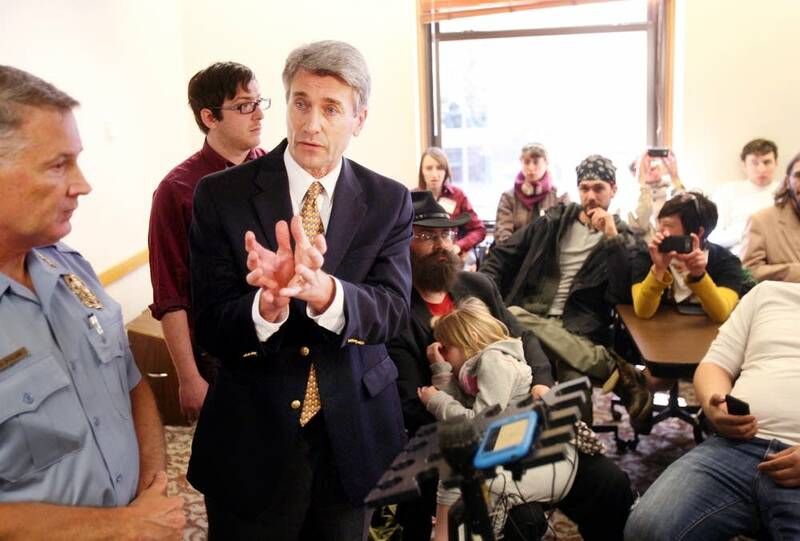 Organizers tried to get as many people as they could to ask questions in the half-hour meeting that Rybak agreed to. 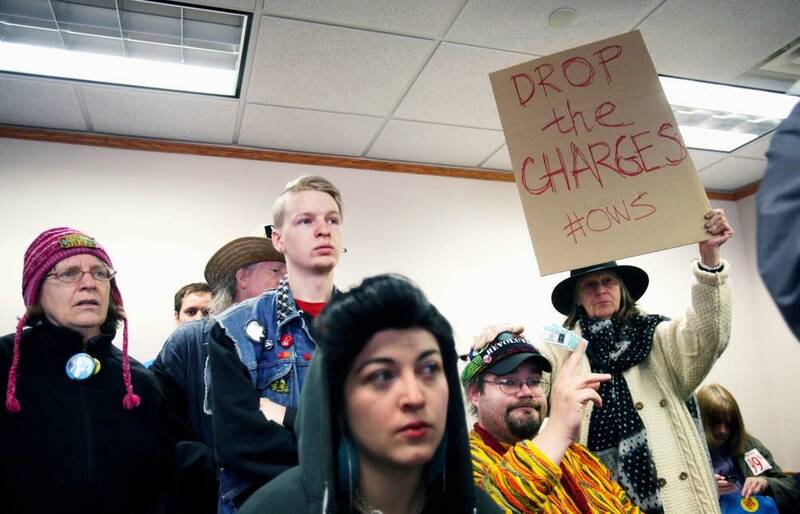 From the start, however, Occupy Minneapolis organizer Liz Dahl had a hard time keeping fellow protesters and the mayor from taking over the meeting. The mayor relented from making an opening statement, and Occupy organizer Sam Richards unfolded a piece of paper and read from a written statement. He was one of the dozen protesters arrested Saturday night. Richards gave his account of what happened after he and a group of other demonstrators were ordered to leave Peavey Plaza. "I was dragged into the street from the sidewalk where four officers made my face come in contact with the ground," Richards said. "I'm sure people here have reviewed the footage from our live streamers and the local press as thousands of others have and concluded that freedom of the press was also brutally suppressed." Richards was referring to video footage showing a Minneapolis police officer knocking a camera from the shoulder of a KSTP-TV News cameraman. Chief Dolan says the action by the officer was inappropriate and said the department's Internal Affairs unit is investigating the incident. Dolan encouraged all others with complaints to come forward. "If you have incidents where you believe you were treated unfairly, I think you bring them forward," Dolan said. "Bring them to Internal Affairs. We will look into them. I know pretty much everything that happened that night is on video somewhere." Dolan says his officers intervened appropriately when protesters began to block the streets. He said demonstrators were warned to stay out of the street before arrests were made. Protesters say they didn't receive any warnings. Several other Occupy demonstrators at the meeting asked the mayor and chief to broadly condemn police brutality and racial profiling. Meeting facilitators wanted yes or no answers, but Rybak wanted to be specific. "Can I say I just can't possibly do justice to that really important question in a couple minutes. 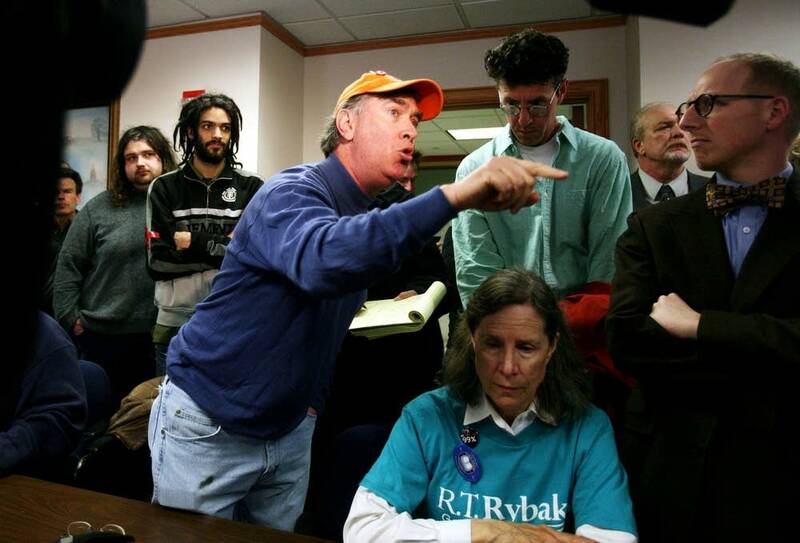 And it's something that I spend a lot of time thinking about," Rybak said. "You guys are welcome to come to my open houses and I'll keep talking about this, but I find it hard to answer an incredibly legitimate question like that in a minute." Before the mayor left the meeting, organizer Dahl asked Rybak if he would agree to another similar meeting within the next month. He said he would agree to continue the dialogue but would not commit to another meeting just yet. Occupy Minneapolis organizers say they will be back at Peavey Plaza this weekend.